Digital control specialist ArKaos today announced its support for software-driven IP workflows using NewTek NDI® Network Device Interface protocol. Joining the industry’s largest IP ecosystem of products, and a rapidly expanding number of companies enabling IP-based customer workflows, ArKaos has integrated NDI into its MediaMaster PRO, MediaMaster Express, GrandVJ and GrandVJ XT products, which are all now recognizable as a source by other NDI-enabled applications and devices connected via a standard Ethernet local area network. Leading media and real-time visual processing specialist ArKaos announces the expansion of its US distribution network … with the appointment of Elation Lighting Inc. based in Los Angeles, California, as a new distributor for the U.S. and Mexico. ArKaos launches GrandVJ 2.5 - a brand new version of its hugely popular GrandVJ software designed for fast intuitive control of video sources by VJ’s, and video operators working in all ‘live’ scenarios – from concerts to festivals to clubs. 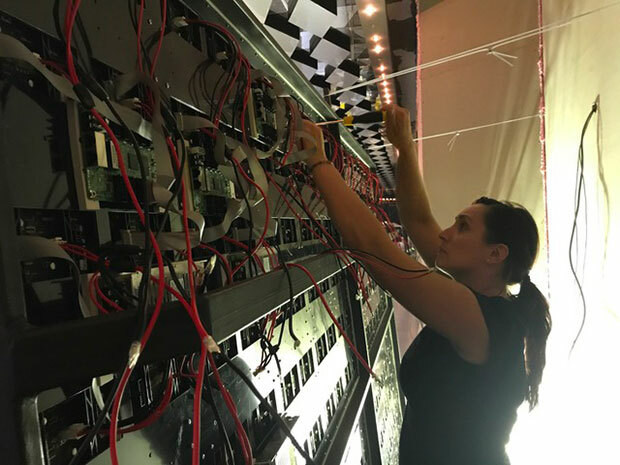 When Elation Professional inhabits the Las Vegas Convention Center June 6-8 for InfoComm 2018, the company will have on display at Booth C3629 a line of state-of-the-art lighting solutions that includes ArKaos software and media servers presented in a dedicated display area. Media solutions and control specialist ArKaos enjoyed a busy and proactive Prolight+Sound expo in Frankfurt, as an action-packed four days saw the company revealing its innovative new An-Ki scheduling system, and highlighting MediaMaster 5.2, the newly-launched latest release of its hugely popular real-time video control platform. Media solutions and control specialist ArKaos highlights its newly launched MediaMaster 5.2 software, the latest edition of its signature powerful and flexible real-time video control platform, on stand C67 in Hall 3.0 at Prolight+Sound 2018. ArKaos will use the opportunity, buzz and high profile of the exhibition to preview a brand new ‘architainment’ orientated control product called An-Ki. An-Ki is an innovative solution to schedule and monitor MediaMaster. From now on, video-mapped or LED installations can be maintained from anywhere in the world thanks to the ArKaos cloud. The official ArKaos press event will be at 16.00 on Tuesday 10 April in the Manufacturer’s Forum near Hall 3.0. ArKaos offers the option to pay in three separate instalments for all licenses. When you purchase your software, you don't pay in one go, but you can spread your investment over three smaller sums. This allows you to start working with ArKaos software right away, making it even easier for you! This new online payment method is available at the end of the purchase process (as part of the step "review order"). The payment in 3 times can only made with VISA, MasterCard and AMEX. 5 unique styles, 5 spectacular women and 5 deserving winners! Read more about 5 unique styles, 5 spectacular women and 5 deserving winners! The deadline has ended, all the projects have been reviewed and we are amazingly proud to present all 5 badass winners! More than just women, these 5 are technicians, artists in their own right and bosses in a male dominated sector, and each one of them fully deserves to be featured here! First up, Nadia Iuliana Purcaru from SM Proline in Romania. Nadia impressed us with her work, which always tackles an enormous technical challenge, and her ambitious setups. When women support each other, incredible things happen! Read more about When women support each other, incredible things happen! 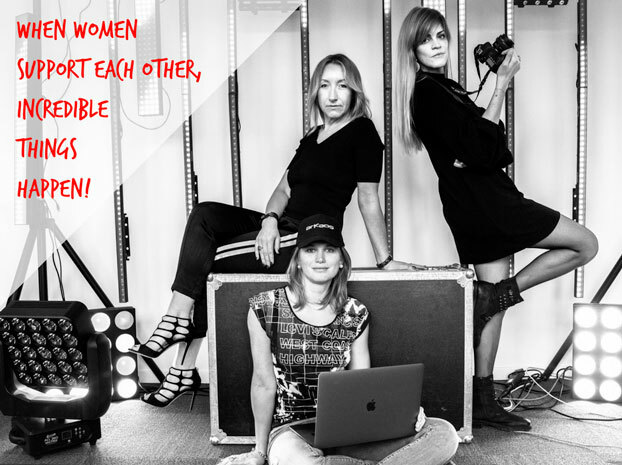 Happy International Women's Day, from the women at ArKaos to all the women out there! On 8 March, we celebrate International Women’s Day, a day when we honor and recognize the contributions of women... a day to empower women and help them realize their full potential.